← Understanding Satan’s Abilities! Can Satan Read Your Mind? (Ver 1.2) This is Part 4 in a series of advanced Bible studies about the subject of Bible Faith. Today’s lesson will be a basic foundational definition to how to get Faith. There are many people in the world who claim to have faith and yet when pressed for a definition of what faith is to them, they cannot tell you. Then if you asked them how did you get this faith, again they cannot tell you. Therefore, we are going to explore the basic Bible subject of faith to help people understand what faith is and where faith comes from. Technically speaking you do not have to know how transmissions work, to drive a car and faith is the same way to some extent. You can drive a car by just automatically learning which gear to be in and press the gas and you are off and running. Salvation can be this way also. You do not have to know that it takes faith to use your faith to be saved, yet your faith is still the determining factor to whether you are saved or not. So we could liken your faith to be your spiritual transmission and God and His power and Grace to be the spiritual engine to the car. Without both of these two key components working flawlessly together in harmony, your spiritual car is not going to move. Hopefully you will understand this analogy better as we continue through this lesson. If you have not read this series of lessons from the beginning, I would recommend that you go back and read starting at “Part 1”. In order to understand what faith is, let’s first find out how faith comes. If you did not know that faith comes then you did not read my first lessons very closely. In a previous lesson I described a verse found in Romans 12:3 that said that all Bible faith comes from God. This verse told us that God has dealt to every man (among you) faith. I explained that verse in that lesson, so I will not repeat the explanation here. Just read it and recognize that God has faith to give, so we as men and women must receive it. Also, in a previous lesson I taught that faith is measurable and quantifiable ranging anywhere from zero or none upwards to full of faith, the maximum that you can have. Remember that your faith can vary in that range of measurable numbers based upon something. Jesus would look at His disciples and rebuke them for having “no faith” and then for a few people that Jesus ran into, He would praise them for having “great faith”. Obviously there is a great deal of difference between those two ranges found on the faith value chart. We can conclude based upon the information that we learned in lesson 3 that faith comes in stages and can grow or increase up the chart to the highest levels. But, how do you get faith and how do you increase your faith that you already have. If you were a car, and your gas tank was empty you would simply go and fill it, does this simple concept also apply to faith? Can I go to the Faith station and fill my Faith tank? That is where we are at in the lesson today so let’s go to the Bible and see what God has to say to us. Don’t Listen or Refuse to Hear! Listen but don’t understand what is Said. Hear, Understand but don’t believe it. Hear, Understand, Believe and then don’t do it. Hear, Understand, Believe and then do it and finally they have faith that grows. Here is story of a woman who was diseased for 12 years. But, did you notice what the Bible says happened to this woman? I tried to underline some of the important parts for your careful consideration. It says in verse 27 that she had “heard” of Jesus. How does faith come? According to Romans 10:17 faith comes by hearing. So right there we know that this is the first requirement for having faith. She obviously heard something that gave her faith and it must have been the Word of God according to Romans 10:17. What did she hear? While we are not told what she heard directly, we can make an assumption based upon other scriptures that it had to be something from the Old Testament. Remember what Jesus did after being baptized by John? Jesus went into the synagogue one day and open the scroll of the prophet Isaiah and read from it “The Spirit of the Lord is upon me and He has anointed me” and then he continues to say “Today this scripture is fulfilled in your hearing” (Luke 4:18-21). If you think that Jesus did this only one time, you would probably be making a wrong assumption. I personally believe that Jesus read this verse of Isaiah everywhere He went to build the people’s faith. So I believe that this woman with the issue of blood had heard what Jesus had said. Now right there she must have understood what was spoken and you clearly see that she believed it by what these verses in Mark 5 say that she does after hearing. Here is a woman that should not be out in public, but she has heard of Jesus and decides to get healed. She does not ask Jesus or anyone else if it is permissible to do anything; she simply presses through the crowds that were also touching Jesus, sneaks up on the back of Jesus and touches His garment surreptitiously. The Bible says that instantly she felt in her body the disease was gone. Immediately, Jesus felt power had flowed from Him and he turned to ask “Who touched me”. Wow, this is one of the best faith lessons in the Bible that I know of and it clearly demonstrates the principles that I have outlined. A woman hears about Jesus, understands what she heard, chooses to believe it and then acts upon her faith and goes and gets healed and Jesus did not know it was happening until after it happened. The disciples look at Jesus like He is crazy and say to Him, Master everyone is touching you. Here is a definitive clue to the difference between a physical touch and a spiritual touch. The crowd was touching Jesus physically, but this woman with faith touched Him spiritually and there is a major difference between those two realities. That is why I get some critics who write me and tell me how wrong I am and I get some people who have spiritual eyes to tell me “Wow that was good”. If I could make everyone see things the way God sees them, I would certainly do that, but I can’t and God won’t so we have what we have in the world today. Faith is a spiritual force and not a physical feeling. The woman was caught, but now that she is healed it is legal for her to be in public again, so she goes to Jesus and falls down before Him. She is obviously grateful and thankful and she tells him the truth. She acted on the truth. She was saved because of her faith. That was faith in a nutshell again and it confirms what God taught you earlier. So did you hear it? Did you understand it? Do you believe it? What will you do with it? Faith comes by hearing and hearing comes by the Word of God. So if you want to increase your faith that is what you need to do. It technically means that you have to be an open and receptive type of vessel in order to hear. If you are not being open to the Word of God you will not hear it to begin with. So decide in your heart to be a vessel that is willing to change and then go and hear the word of God until you understand it. Next, if you believe what you have heard is the truth, then you are ready to take hold of the hem of His garment and receive the power of God for your answer. 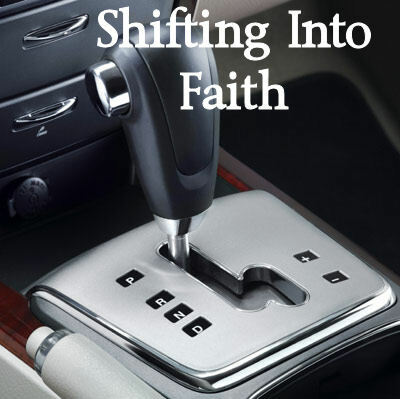 Your faith is the transmission that causes your spiritual car to accelerate and to go places. God’s Grace is the Motor that supplies the power to your spiritual car to change your location. You can keep your car in the garage and never use it to go anywhere in the world or you can do what Jesus taught “If you had faith as a grain of mustard seed, you would say…”. I hope that you enjoyed this basic Bible faith lesson and that you learned something that can be useful with your walk with God. Until next time, I will let you go and review this lesson and see if you truly understood it and then you can write me and tell me about how it worked for you. God Bless. If you would like to continue reading in this series of lessons on faith, you can go to “Part 5“. Posted on January 25, 2011, in Bible Study, Faith, Understanding and tagged Believe, Bible, Christianity, Church, Faith, God, Holy Spirit, Interpretation, Jesus, Knowledge, Prophecy, Religion, Revelation, Truth, understanding. Bookmark the permalink. 10 Comments. Understanding that Faith is a God given Force, can we also say that Wisdom, Knowledge, Understanding are also “Spiritual Forces”? Agapegeek, your ministry is rich soil!!! Thank you, thank you, thank you!! As my family has taken a step of faith in ministry awaiting our next assignment this brings such strength and encouragement to me. The Spirit of God did lead me here, I am so thankful! Wow! I have just finished your deep dynamic lesson on Faith starting from part 1 to part 15! I only return to this part of the lesson to review it. Thank you for your faithfulness in hearing from God and sharing it with us readers. I must tell you also, that I had an opportunity to share about Faith with my home group and I used this story of the woman with the issue of blood, to relate about how we can access and ‘ touch’ God to receive. I told them that what I have shared, I receive from others (you) and they told me that it was a good sharing and they have understood it more clearly. All glory to God for taking the saints deeper into the knowledge of His Word, and a biig encouraging ‘pat on your back’ for your hard work! You are an awesome blessing. I’m glad that I could share something with you that God taught me. Thanks for you comment. Thanks, God is truly using you. Thanks you for you kind comment and your time spent studying the Bible. May God richly bless you and give you great wisdom. Thank you so much for your series on faith. I’ve been struggling with understanding this for the past several weeks and your explanations are a great help! God Bless! Thanks, for your comment. I appreciate you taking the time to study the Bible with me. Everyone struggles with this subject if they have ever studied it. Only people who do not care will not take the time to learn one of the most important lessons found in the Bible. God says in Hebrews 11, without faith it is impossible to please Him. So that sounds like a pretty important subject that we should know about. Thank you for you lesons on faith. I email them to my two married daughters as soon as I read them. They don’t go to church anymore and I have a terminal disease and no longer can go either. They are good girls and they’ve promised to read them to my grandchildren. These last lessons have accomplished so much that I have prayed for. God Bless You.